Its true men predominantly suffer from hair loss and male pattern baldness is common so people assume that hair transplant is a men’s thing. But the reality is men and women both suffer from hair loss and also different balding patterns and both might need the hair transplant. 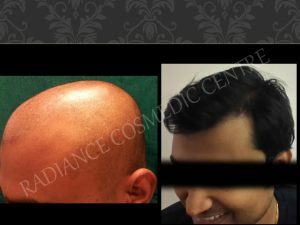 Hair transplant is better appreciated in a woman because they keep long hairs and both FUE and FUT techniques can be used for both the genders. The above state is a false because hair transplant surgery cannot prevent further hair fall and only way hair fall can be prevented is by medical treatment after the transplant like oral tablets and PRP injections to stem hair loss. In hair transplants, the roots are taken from the back of the scalp because the texture is consistent with the hair that was lost on the front. But in some cases, enough roots may not be available i.e. donor hair so one might have to opt for body hair. But it isn’t a practical option. Body hair has a different texture as well as growth rate and also extraction of these hairs leaves scars. Hair transplant from body hair may provide a sense of fullness in the area where hair loss has occurred, but it is never the same. So if the doctor says it’s the same as hair from the back of the scalp they are not being truthful. Immediately after the surgery one will feel the head is covered with hair but the transplanted hair usually falls off within three weeks but the roots which are the key remains. Roots usually start growing in about 50 to 60 days with the best growth results can be seen between the 9th to 12 months. Age is not a factor because people as old as eighty years have undergone hair transplant and the common myth that people in their late 40s and 50s only seek treatment. Age doesn’t have any link to the procedure or the hormone. There are many more myths that are out there but the reality is if you feel like getting hair transplant it is recommended that you go and talk to an expert, preferably a plastic surgeon who has experience in hair transplant Delhi procedures. They are the best experts to guide you and give you the full picture of this life-changing procedure.